Bali Hotel Nature Resort & Spa which was opened in 1999 is all villa type resort and locates along with the valley for 3 km from Ubud. As the name of the hotel, the building structure is utilized natural geography. 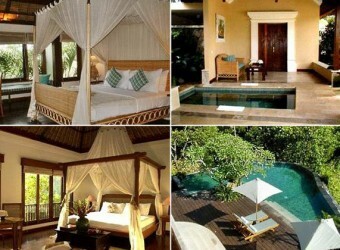 All villa type guest rooms are only 14 rooms, and it is the hideout hotel of Bali. Recommend the spa with sound of pool and stream.